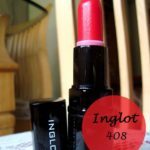 The crazy lipstick hoarder is back but with a nail color….. no matter how many I own..its never enough *devilish smile* I recently got to know about Inglot and they have an amazing variety of nail polish shades to offer so obviously had to check it out! Now when I “check out” a brand..major haul happen. 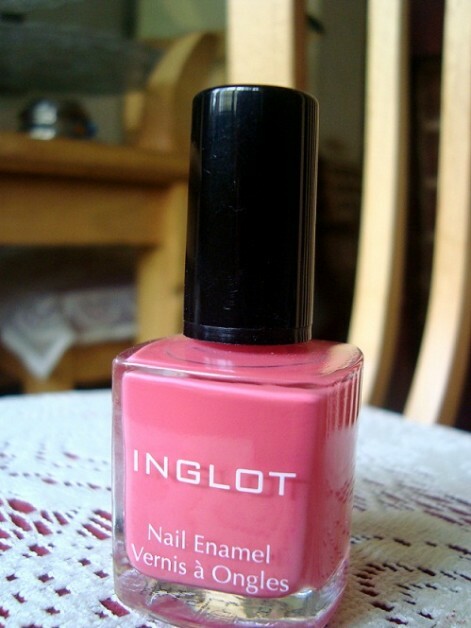 I bought Inglot matte collection nail enamel #720 which is a matte pink shade. 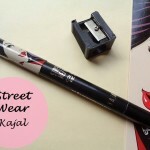 I will review and swatch that today. 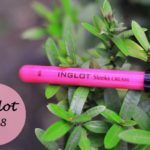 Inglot Claims: Provides the ideal easy to apply, quick drying, flake and chip resistant, matte finish with an intense color after just one coat. 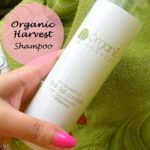 Does NOT contain toluene, formaldehyde, dibutyl phthalate (DBP) or camphor. 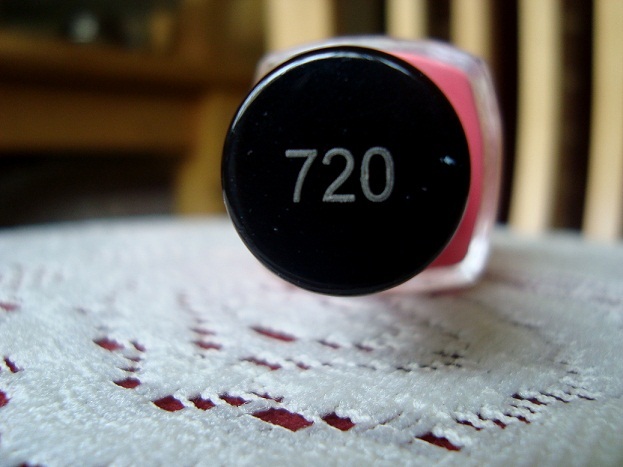 Shade #720 is a mix of pink and coral. 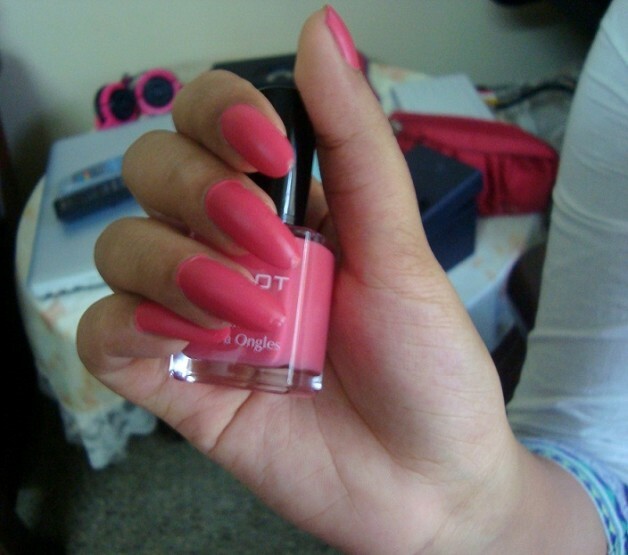 Appears pink in the bottle but on nails appears more coral. For me its a irritating job to remember numbers when compared to names so yup a minus point. But it may not be aproblem for all.. I would find it rather funny if they had 420 in their nail color collection and we would have to refer it as “I am wearing 420 0n my nails“! 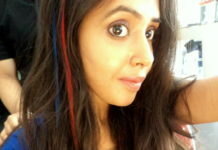 I know its a PJ but badly wanted to tell it! Coming to the brush its so so..nothing too great just normal. So again a disappointment. I love the brush of loreal color riche nail colors. They are too good and wise for my huge nails. 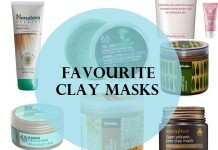 This is a so so product for me! 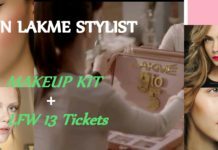 I feel for 600 bucks I can buy so much like the new lakme 9 to 5 lipsticks with a Lakme nail paint or the Gloss Stylist or lakme 9 to 5 nail polish along with colorbar nail polish and a Maybelline mascara or put in extra 400 and buy mac lipsticks or put in 200 and get loreal color riche lipsticks. 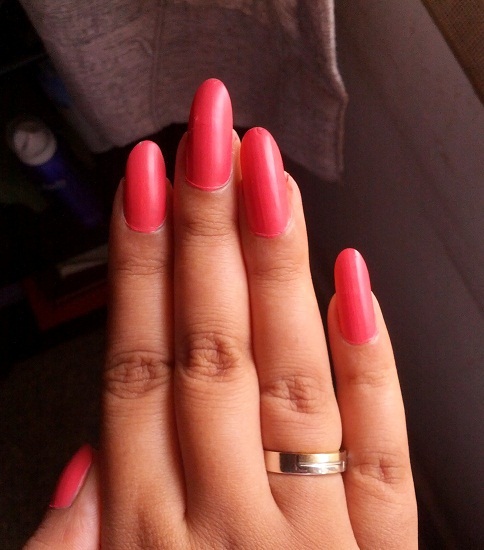 People who like matte nail polishes can try it though because this color is too too too good to be ignored like that! I like it because it doesn’t contain harmful ingredients. I would be careful about ingredient because its my nails and no one would like to have yellow dirty nails. ewwww!! So definitely a plus point. Inglot has described it very well because it does dry fast and doesn’t chip or flake. 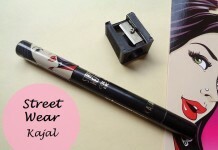 Still its not worth 590 bucks even though they provide you with 15 ml. The color is the soul reason I got it and I love it, but I didn’t even know its a matte nail color until I wore it and googled about it later..may be I got a bad SA and on the bottle there is no proper description saying its a matte nail polish but it is mentioned on the back side in small capital letters as matte. 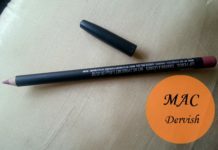 When it comes to matte finish it doesn’t give a complete matte finish but slightly a satiny finish. Again a minus point. Very expensive for a nail color. 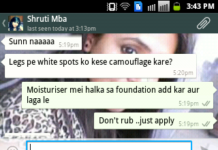 Isn’t really a matte finish. Hasn’t been described properly on the bottle. Semi matte finish may not be liked by all. There are many great brands out there. Will I buy again? A big no..but I may try their lip pencil or other lip products and their famous nail flakies but not nail polish. Will I recommend this to others? 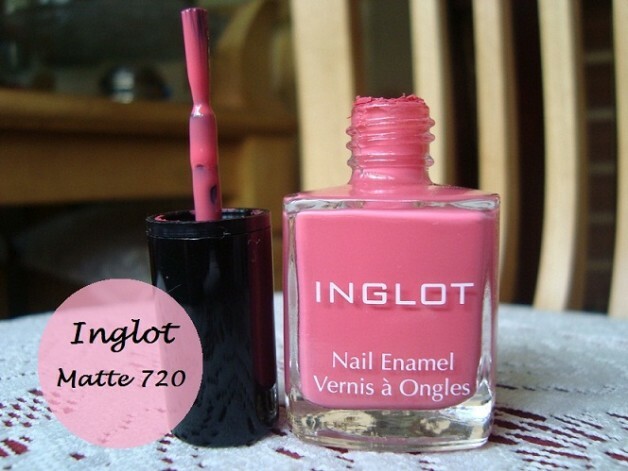 Inglot Matte Collection Nail Enamel 720 is not worth the price. 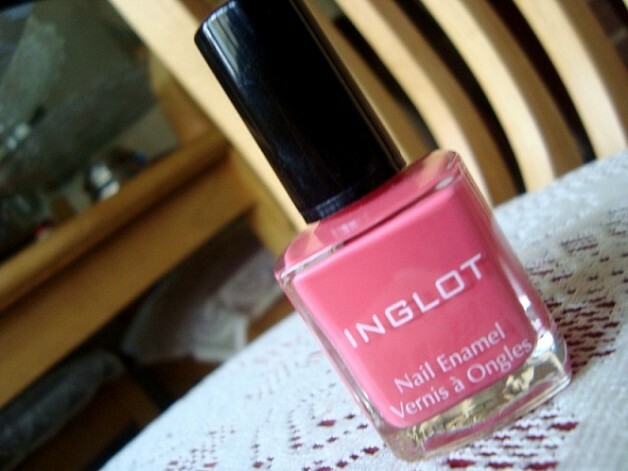 I personally wont spend so much on inglot nail polishes. I would rather try opi or essie. I don’t like matte that much either. 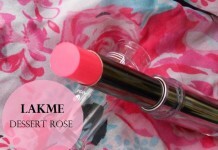 I do use the matte topcoat from Bourjois when I’m in the mood for it. 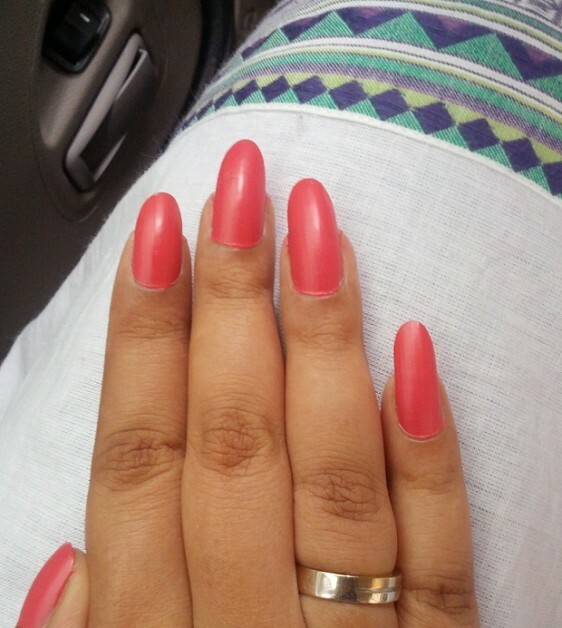 I love a matte finish but not at 600 bucks :p U have such pretty long nails..some tips pls! Pardon me but your entire article berates the product for being expensive. I agree 600 isn’t a small amount BUT all good polish brands retail for approx 9-10 dollars (Be it OPI, Essie, China Glaze, Zoya etc) or higher (Butter london, Nars, Mac etc). Chanel nail polish tend to cost 2000+ and yet is an aspirational brand for many. 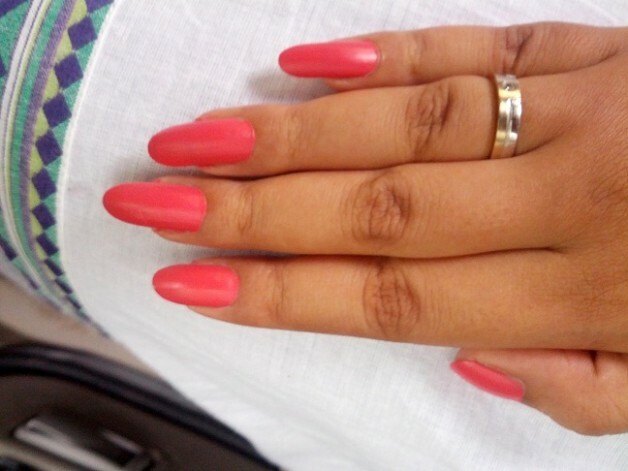 And finally, a 15ml polish is good enough to be used atleast 30 times, which means its basically costing u Rs 20 for a weeks polish (As good brands polish is chip free for a week) whereas a Cheaper product costing half as much would last 3 days resulting in rs 10 spent for 3 days painted nails. And then the added pain of painting and drying your nails 2s a week!! So i personally feel that price shouldn’t dictate the review. After all a person considering Mac or Inglot already knows the price and is usually more interested in everything else but the price.